mind.Responding to a tradition that owes much to the writings of Davidson, early Putnam, and Fodor, Tanney challenges this orthodoxy on its own terms. 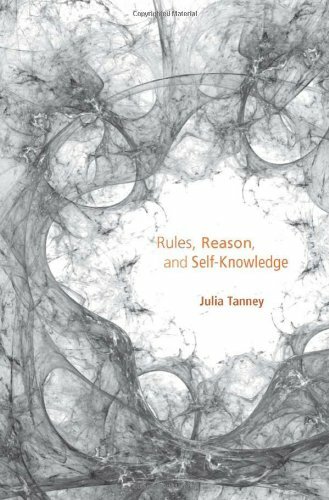 In untangling its internal inadequacies, starting with the paradoxes of irrationality, she arrives at a view these philosophers were keen to rebut—one with affinities to the work of Ryle and Wittgenstein and all but invisible to those working on the cutting edge of analytic philosophy and mind research today. This is the view that rational explanations are embedded in “thick” descriptions that are themselves sophistications upon ever ascending levels of discourse, or socio-linguistic practices.Tanney argues that conceptual cartography rather than metaphysical-scientific explanation is the basic tool for understanding the nature of the mind. Rules, Reason, and Self-Knowledge clears the path for a return to the world-involving, circumstance-dependent, normative practices where the rational mind has its home.